56" x 116" x 1-1/2" (1.5m x 3m) X-Mat - Norbert's Athletic Products, Inc.
X-marks the spot on this target mat's soft-yet-strong brushed denim top surface. Intended to help make round-off entry and dismounts more comfortable by providing additional cushioning. 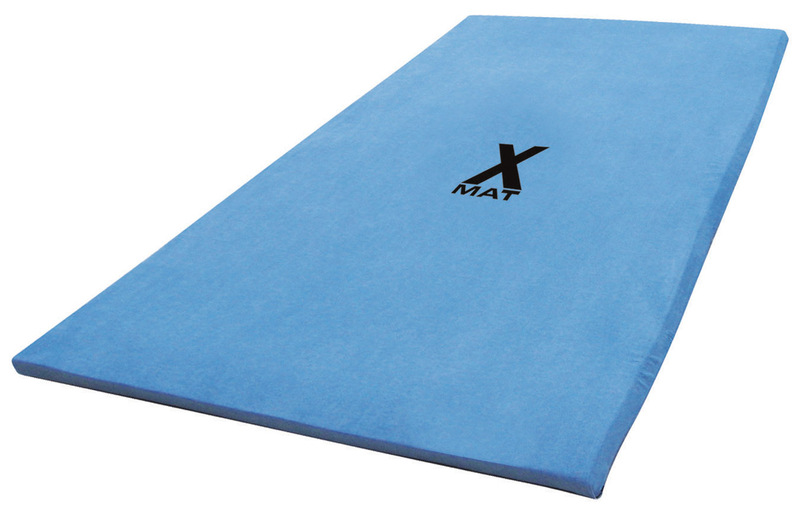 All Norbert's X-Mats feature a plush denim cover and are filled with high rebound foam filler. Actual Mat Size in Inches: 56" x 116" x 1-1/2"
Cover features Hook and Loop closure for easy washing and foam replacement. Color Note: Denim dye lots change often so your mats could be lighter or darker than what is pictured. Click the button below to add the 56" x 116" x 1-1/2" (1.5m x 3m) X-Mat to your wish list.